If a 7.8-magnitude quake ripped the earth open along the southern San Andreas Fault this afternoon, it would cut a swath of destruction from the eastern desert to the Los Angeles basin. It would pull down buildings, kill 1,800 people and ignite 1,600 fires, according to a scenario worked up by a team of scientists and used for the region’s emergency-preparedness drills. Major roads, water pipes and power lines around Los Angeles and Orange counties would be severed, cutting off the region and slowing recovery and evacuation efforts. 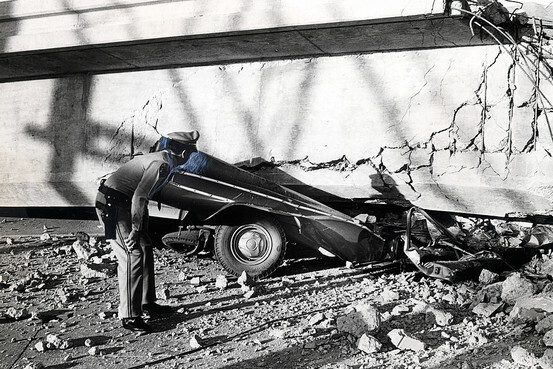 In quake-prone California, the disaster forensics have begun—again. The recent earthquakes in Japan and New Zealand have prompted officials in Los Angeles, San Francisco and elsewhere to re-examine their own building codes, disaster-response measures and recovery plans. In particular, the Japanese quake and tsunami have raised fresh concerns about California’s two nuclear plants, which sit near fault lines that run though the central and southern parts of the state. The San Andreas is believed to be the most likely source of a big quake in southern California. Quake and resulting fire estimated to have killed more than 3,000 people, injured thousands more and destroyed about 28,000 buildings, leaving some 250,000 people homeless and resulting in $400 million in damage, in 1906 dollars. Cisterns were later strengthened to ensure that water would be available to fight fires after future temblors. Quake south of Los Angeles caused 120 deaths and $50 million in property damage. Most of the buildings destroyed had unreinforced masonry, including many schools. As a result, earthquake-resistant design and construction were mandated for public schools. 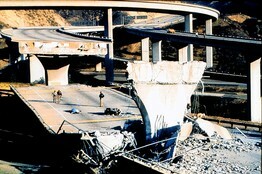 Quake, above, caused more than $500 million in property damage and 65 deaths. Most of the deaths occurred when a Veterans Administration hospital collapsed. In response, building codes were strengthened, and buildings including apartments and hospitals were prohibited from being built across active faults. 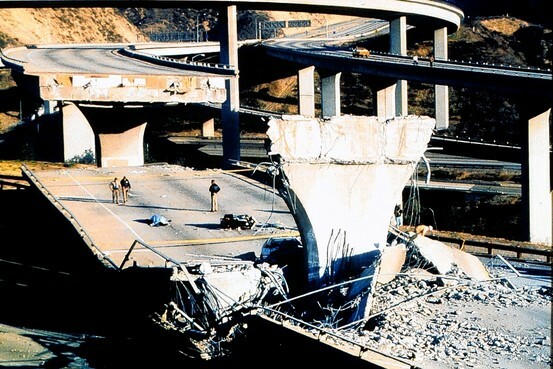 Quake killed between 62 and 67 people, injured around 4,000—including 400 severe injuries—and damaged or destroyed 12,000 homes and 2,600 businesses, resulting in around $6 billion in damage, in 1989 dollars. Following the quake, California’s building code was updated, the state’s office of emergency services was built out and neighborhood emergencyresponse groups were created. San Francisco adopted a system for indicating the safety of buildings following an earthquake and established a program to conduct seismic assessments of buildings prior to an earthquake. Quake 20 miles northwest of Los Angeles, left, caused 57 deaths, more than 5,000 injuries and $20 billion in property damage. Sections of major freeways, apartment buildings and office buildings collapsed. Steel-frame “earthquake-proof” buildings suffered severe damage, resulting in new design and construction standards for high-rise buildings. Local emergency planners are scouring for more information on Japan’s situation so they can update their disaster procedures. 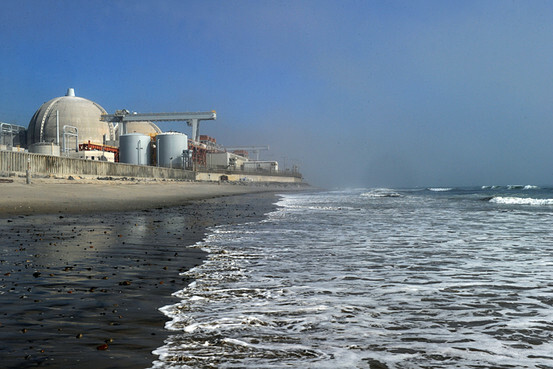 “We will learn things, and we will make changes,” said Jen Tucker, emergency planning officer for San Clemente, a city three miles from the San Onofre Nuclear Generating Station. 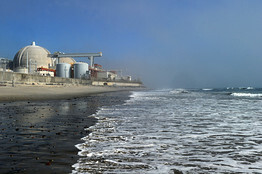 The plant, built to withstand a 7.0-magnitude quake, sits on the Pacific coast within five miles of two fault lines, girdled by a 30-foot-high tsunami wall. After each major quake around the world, L.A. sends city officials to assess the disaster response for lessons, said Deputy Mayor Eileen Decker. When they visited Chile after the 2010 earthquake there, they learned that tourists were especially vulnerable because they were unaware of evacuation procedures. As a result, Los Angeles aims more public-service announcements at its own tourists and has beefed up relations with hotel operators. One immediate lesson from the Japan quake, Ms. Decker said, was how much more prepared the Japanese are than Californians. In Japan, preparedness means having hard hats and flat shoes at work desks and obeying evacuation orders, she said. In Los Angeles, it can be hard to talk people out of “wearing three-inch heels,” in case they have to rush down many flights of stairs, Ms. Decker said. Another common problem: persuading residents to leave their homes during disasters. “Every [wildfire] season we have difficulty with individuals that insist on staying in their residences,” she said. Los Angeles County now will publicize its assessment of the risk to residents from nuclear disasters elsewhere as well, said Jonathan Fielding, director of the county’s Department of Public Health. After Japan’s damaged nuclear plants spread radiation, some Californians rushed to buy protective iodine tablets for fear the radiation could cross the Pacific. In the Northern California counties of San Francisco, San Mateo and Santa Clara, too, officials are waiting for information on how well response plans worked in Japan and New Zealand before re-examining their own. Since the 1989 Loma Prieta earthquake in the Bay Area, San Francisco’s building code has been updated eight times, incorporating “knowledge obtained from every major seismic event” world-wide, said Vivian Day, director of the city’s Department of Building Inspection. Still, an estimated 17% of San Francisco’s buildings would be destroyed or made unsafe to occupy by a 7.2-magnitude earthquake, and 200 to 300 people would be killed, according to a 2010 report commissioned by the city. The report considered a quake of that magnitude because among the “pool of possible large earthquakes that might affect San Francisco in the next 30 years, this is the scenario which gives the strongest amount of shaking,” said Jack Boatwright, a U.S. Geological Survey geophysicist. He added that in the most extreme case, a rupture along the San Andreas Fault could cause a quake of up to 8.3 in magnitude—exponentially more powerful than a 7.2. Of particular concern are thousands of old wood-frame buildings in San Francisco, many of which have significant structural weaknesses because their ground floors have few interior walls and large openings in exterior walls for garage doors and storefronts, according to the report. An effort to mandate seismic retrofits of them lost steam last year after officials failed to determine a way to help property owners finance the work. But San Francisco officials admit they have undertaken far less planning for what to do after an earthquake to ensure that residents are resettled and buildings are reconstructed quickly. Rob Dudgeon, deputy director of the city’s Department of Emergency Management, said the issue was driven home by the slow pace of rebuilding New Orleans after Hurricane Katrina in 2005, adding “there’s not a city in the United States” prepared for such recovery. In 2008, then-city administrator Edwin Lee, who now is interim San Francisco mayor, began heading an effort to increase the city’s focus on recovery planning. Since then, San Francisco has tapped experts at Harvard University’s Kennedy School of Government and the San Francisco Planning & Urban Research Association. “We don’t want to lose our people” to other cities by not rebuilding quickly enough, said Sarah Karlinsky, deputy director of the nonprofit think tank. One aim is to find ways to ease bureaucracy after a catastrophe, such as the city’s cumbersome building-permitting process, Mr. Dudgeon said. He said officials also intend to develop proposals that the city’s Board of Supervisors could approve immediately after a disaster, to streamline decision making about issues such as whether to demolish the remains of historic buildings and rebuild on unstable land—processes that often take years. San Francisco, he said, is in the “toddler stages” of that effort.